If you’re a digital agency, chances are you have your sights set on a huge variety of clients — from entertainment and automotive, to travel and finance — all with their own unique SEO needs. So how do you attract these companies and provide them with next-level SEO? By using a flexible tracking solution that delivers a veritable smorgasbord of SERP data every single day. Here are just four ways you can leverage STAT to lock down new business. The best way to win over a potential client is to walk into a pitch already aware of the challenges and opportunities in their online space. In other words: come armed with intel. To get a lay of their search landscape, research which keywords are applicable to your prospect, load those puppies into STAT, and let them run for a few days (you can turn tracking on and off for however many keywords you like, whenever you like). This way, when it comes time to make your case, you can hit them with hard data on their search visibility and tailored strategies to help them improve. Walking into a pitch with deep insights in just a few days will make you look like an SEO wizard — and soon-to-be-new clients will know that you can handle any dark magic unleashed on the SERPs by a Google update or new competitors jumping into the mix. As an SEO for an agency, you’re vying to manage the visibility of several clients at any given time, and all of them have multiple websites, operate in different industries and verticals worldwide, and target an ever-growing list of topics and products. So, when prospective clients expect individualized SEO recommendations, how can you possibly deliver without developing a permanent eye twitch? The answer lies in the ability to track and segment tons of keywords. To start, you’ll need to research and compile a complete list of keywords for every prospective client. When one keyword only returns one SERP, and people’s searches are as unique as they are, the longer the list, the greater the scope of insight. It’s the difference between a peek and peruse — getting a snapshot or the whole picture. For example, let’s say your would-be client is a clothing chain with an online store and a brick-and-mortar in every major Canadian city. You’ll want to know how each of their products appears to the majority of searchers — does [men’s jeans] (and every iteration thereof) return a different SERP than [jeans for men]? Next, it’s time to play international SEO spy and factor in the languages, locations, and devices of target audiences. By tracking pin-point locations in influential global markets, you can keep apprised of how businesses in your industry are performing in different cities all over the world. For our example client, this is where the two keywords above are joined by [jeans pour hommes], [jeans for men in Montreal], and [jeans pour hommes dans Montreal], and are tracked in the Montreal postal code where their bricks-and-mortar sit, on desktop and mobile devices — giving you with 10 SERPs-worth of insight. Swap in “in Quebec City,” track in a postal code there, and gain another 10 SERPs lickety-split. While a passel of keywords is essential, it’s impossible to make sense of what they’re telling you when they’re all lumped together. This is why segmentation is a must. 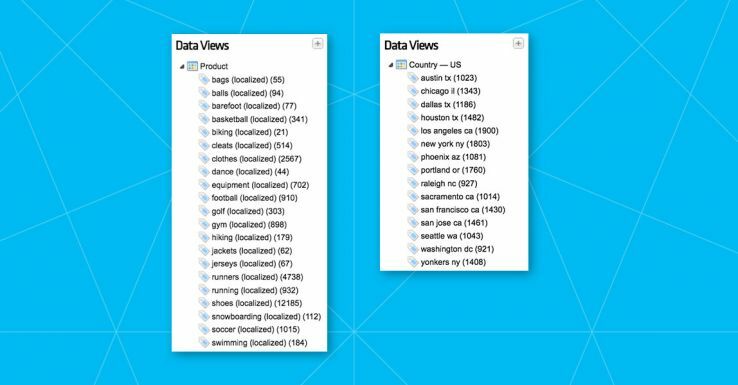 By slicing and dicing your keywords into different segments, called “tags” in STAT, you produce manageable data views with deep, targeted insight. You can divvy up and tag your keywords however you like: by device, search intent, location, and more. Still running with our earlier example, by comparing a tag that tracks jeans keywords in Montreal against jeans keywords in Vancouver, you can inform your prospect of which city is bringing up the rear on the SERPs, and how they can better target that location. STAT also lets you to segment any SERP feature you’re interested in — like snippets, videos, and knowledge graphs — allowing you to identify exactly where opportunities (and threats) lie on the SERP. So, if your tag is tracking the all-important local places pack and your prospect’s brick-and-mortar store isn’t appearing in them, you can avoid the general “we’ll improve your rankings” approach, and focus your pitch around ways to get them listed. And once you’ve been hired to do the job, you’ll be able to prove your local pack success. For more tag ideas, we created a post with some of the keyword segments that we recommend our clients set up in STAT. Monitoring a client’s site is one thing, but keeping an eagle-eye on their competition at the same time will give you a serious leg up on other agencies. With an automated site syncing option, STAT lets you track every known competitor site your prospect has, without any additional keyword management on your part. All you need to do is plunk in competitor URLs and watch them track against your prospect’s keywords. And because you’ve already segmented the bejesus out of those keywords, you can tell exactly how they stack up in each segment. 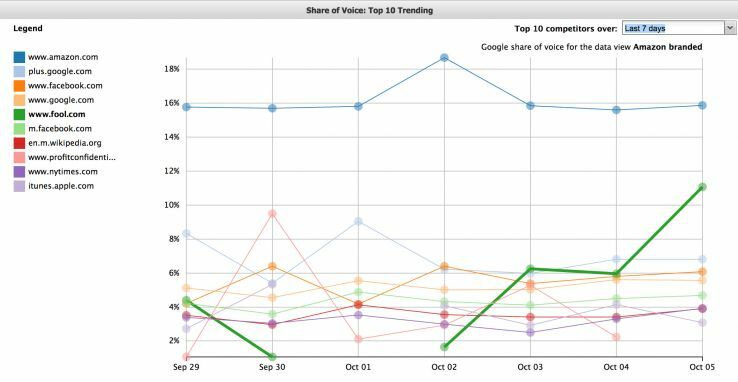 To make sure that you’re tracking true search competitors, as well as emerging and dwindling threats, you should be all over STAT’s organic share of voice. By taking the rank and search volume of a given keyword, STAT calculates the percentage of eyeballs that players on the SERPs actually earn. When you know the ins and outs of everyone in the industry — like who consistently ranks in the top 10 of your SERPs — you can give clients a more comprehensive understanding of where they fit into the big picture and uncover new market opportunities for them to break into. They’ll be thanking their lucky stars they chose you over the other guys. As an enterprise SEO, having economies of scale is a critical factor in beating out other agencies for new business. In order to achieve this, you’ll want to collect and crunch data at an affordable rate. STAT’s highly competitive per-keyword pricing is designed for scale, which is precisely why STAT and agencies are a match made in heaven. Thinking big won’t break anyone’s bank. Plus, STAT’s billing is as flexible as the tracking. So, if you only need a few days’ worth of data, whether for a pitch or a project, you can jump into STAT and toggle tracking on or off for any number of keywords, and your billing will follow suit. In simpler terms: you’re only billed for the days you track. And with no limits on users and no per-seat charges, you’re welcome to invite anyone on your team — even clients or vendors — to see your projects, allowing you to deliver transparency in conjunction with your SEO awesomeness. If you’d like to do any or all of these things and are looking for the perfect SERP data tool to get the job done, say hello and request a demo! In addition to our professional seo and web design services we want our visitors to learn exciting new tips and trends in the world of Internet Marketing. Now Live for Your SEO Learning Pleasure: The NEW Beginner’s Guide to SEO! Intellisea takes your online business presence to another level by leveraging data analytics, proven digital marketing strategies and full transparency in everything we do. Reach out to us and find out how we will help build your digital brand. ©2018 Intellisea LLC. All Rights Reserved.